Configure Logitech Rumblepad 2 (software) for Dolphin? How do I get the Logitech Rumblepad 2 (or its software) to configure and work with Dolphin for Gamecube and Wii. There is no plugins on Dolphin 3.0, so I do not see any optional means of adding anything extra to help. I was able to assign within Dolphin but it doesn't save or remember its profile when I "okay" or close the window. P.S. When you close the app, it doesn't remember the file location for the roms that you indicate in the preferences. You have to re-locate each time. 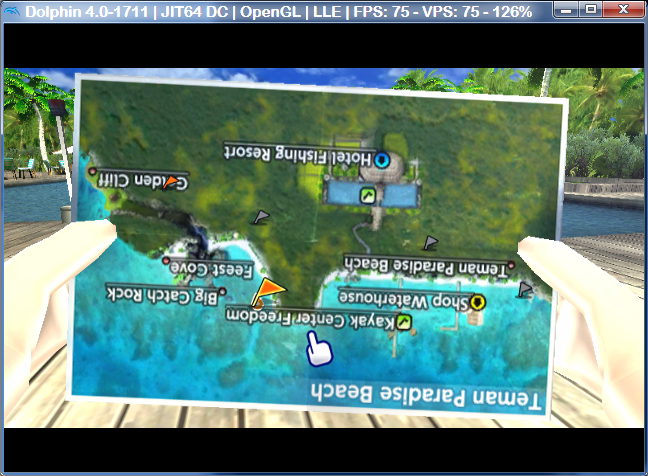 Dolphin uses SDL and DirectX (Your gamepad should support DirectX), no plugins are needed. When you config your remote just go to the rumble section and select a cont force or something and hit test. If it does not work, then try with other DX games. Dolphin not saving/remembering anything is likely because you're running it either from within the .7z file it came in (right-click the .7z file, click "7zip"/"WinRAR" > "Extract here") or you've extracted it but are running it from a read-only drive. I couldn't figure out anything. So I'm manually profiling my logitech pad to the keyboard inputs on the "DInput/0/Keyboard Mouse" for the GCPad Configuration. But now I'm not certain what the Modifier keys mapping to "LSHIFT" and "LCONTROL" refer to. Do these refer to the left-side shift and control buttons or the letter, "L" + shift or control? When I assign these on the logitech software, it doesn't distinguish between left or right control or shift buttons. And there's no reference to this unusual representation for keys on the Internet. Any help? Left shift and left control. 2. Permission in the folder for Dolphin (try putting it on the Desktop).